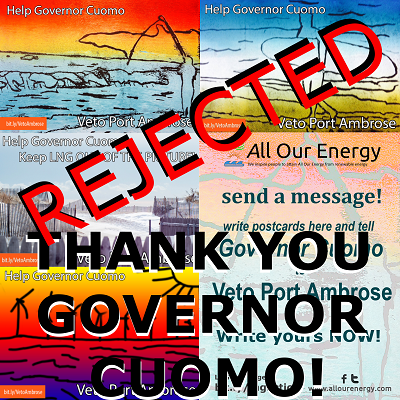 thank you all and thank you Governor Cuomo for Rejecting Port Ambrose! 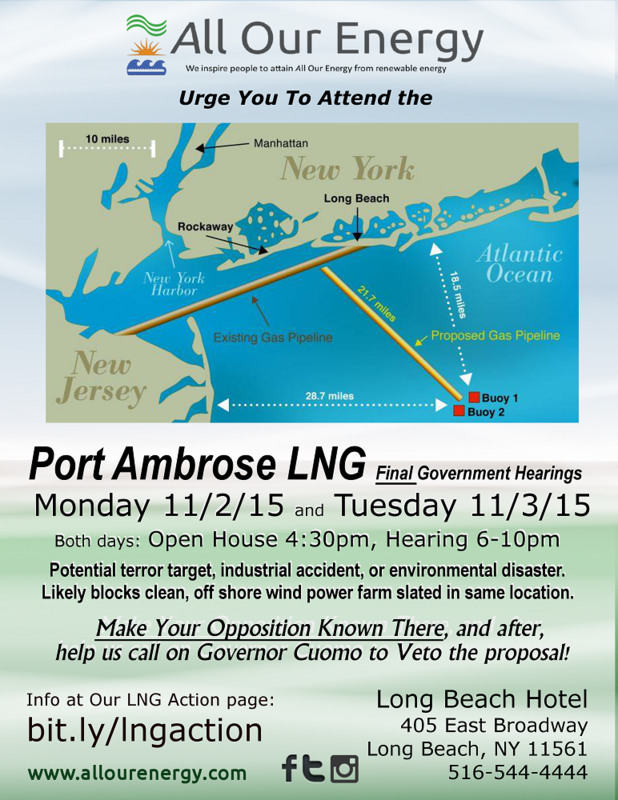 We Oppose Liberty Natural Gas' proposal to build an offshore liquefied natural gas (LNG) tanker facility a few miles from the NY/NJ harbor and our beaches called “Port Ambrose". Click here for the Top 18 Reasons why Port Ambrose is bad with fact-based talking points you can use! time is running out - get involved! Volunteer here to work on the campaign. Join our "Love, NY" postcard campaign and write Governor Cuomo to Veto Port Ambrose! Here's Help to Write Your Postcard to Governor Cuomo. Erik McGregor VETO PORT AMBROSE - WE DID IT!! !